The Arcules Partner Program is focused on developing strong alliances with partners interested in joining our mission to reinvent the video monitoring industry. As the first provider of video cloud IoT as a service technology, Arcules is aiming to set the standard for agility, security, and analytics for video data in the cloud. Whether you resell, offer consulting and integration services or offer complementary technology solutions, you will have access to a collection of resources to ensure your status as a trusted advisor to your customers and prospects. Solution Providers utilize the Arcules Intelligent Video Cloud Platform to help clients move from traditional on-premise video solutions to next-generation cloud technologies. They leverage the Arcules platform to unleash the full potential of enterprise video and IoT data. Solution Providers are interested in building a business model that includes the marketing and resale of our Intelligent Video Cloud Platform. Referral Partners have the opportunity to earn referral fees while ensuring their role as trusted advisor to their clients. In cases where a partner’s experience does not extend to a particular domain, industry or geography, referral allows partners to leverage the expertise at Arcules to provide the best result for their customer while still generating revenue. Arcules simplifies the equipment required at each customer’s location, and enables Stone to manage more efficiently and conveniently. It’s a completely different approach, having the ability to process and do analytics in the cloud. It’s very proactive in the way they approach video. It’s much broader than security. 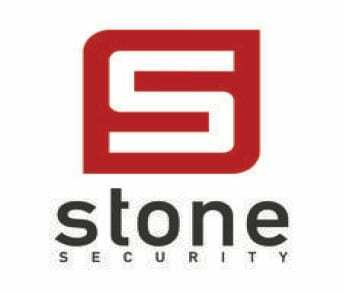 Vice President, New York Security Solutions Inc. Going from initial request for a demo product to pilot literally happened in one week. The fact that we went into a production environment with working, recording cameras, and we were able to manage it, view the recordings, share the videos, and set up the views yet we had little-to-no training... this was unheard of. The way I looked at it, every single enterprise system that I have used over the years, I've always had to sit through some certification course before I got the thing off the ground. With that said, I'm really happy that I found Arcules.